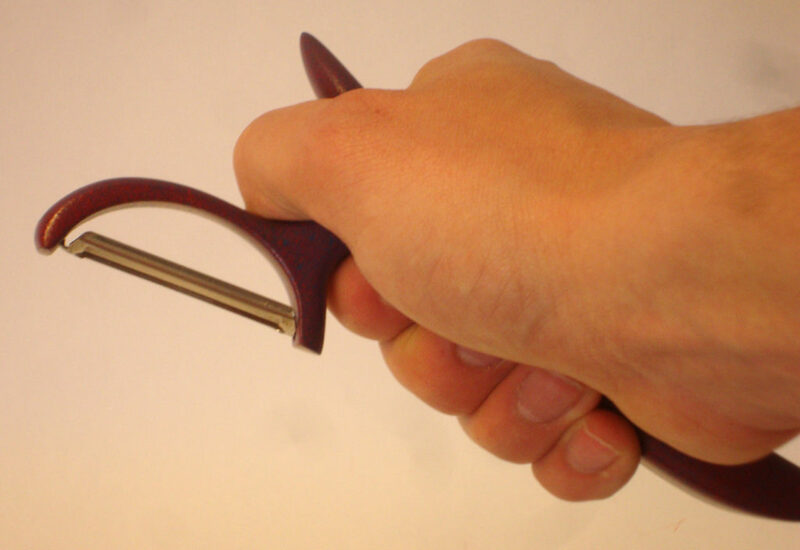 These two vegetable peelers were designed with two grips in mind: a power grip for peeling long, straight things like carrots, and a tweezer grip for more control when peeling smaller, rounder things like potatoes. 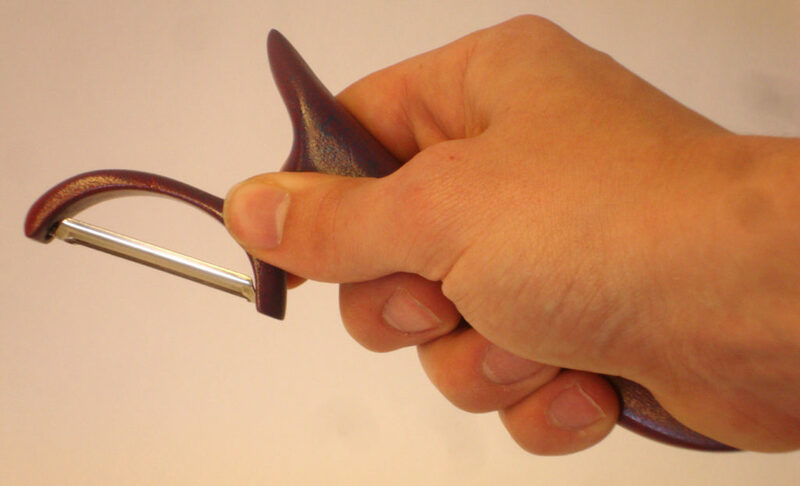 The purple peeler’s blade is too far from the handle, which causes the entire peeler to flip in the hand. 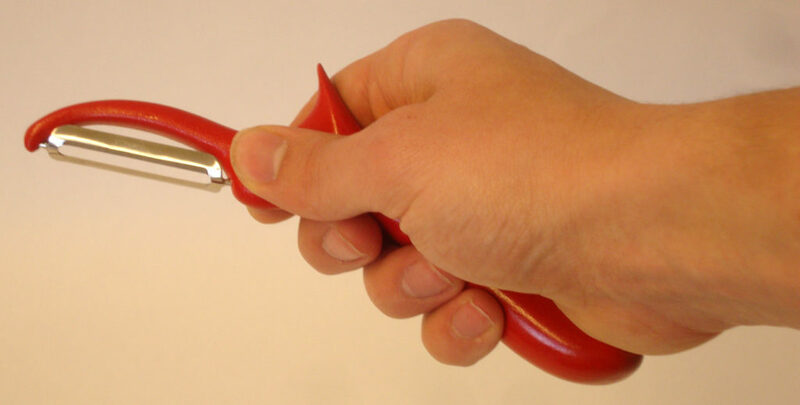 The tweezer grip that I wanted to imply could not be inferred from the form. The design language (the curves, shapes, aspects) of the purple peeler is disjunct, and so with the next iteration, I focused on unifying the form. 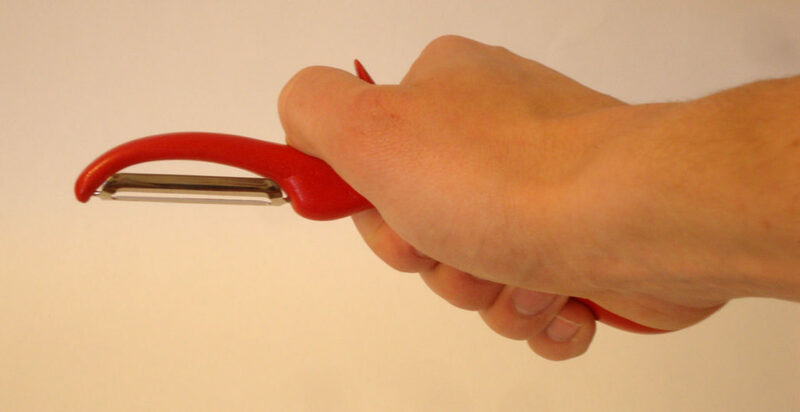 The red peeler is said next iteration, The blade is much closer to the handle, allowing for more control. With this iteration, I tried to make incorrect grips uncomfortable and attempted to make the correct grips more rewarding.